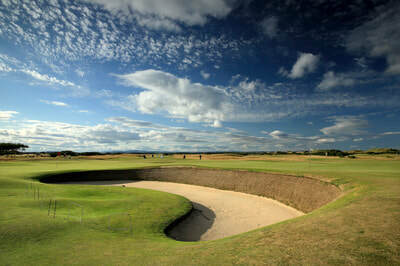 St Andrews in Scotland is the home of golf and every golfer aspires to teeing it up on the Old Course one day. The fabled 17th (road hole) among others will linger long in the memory. 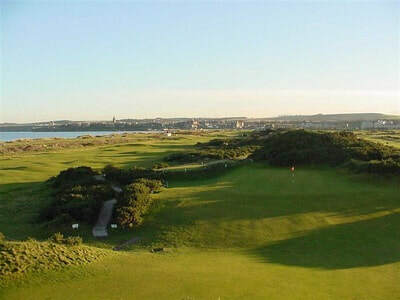 Apart from the Old Course St Andrews also boasts several other championship links among the them the New Course, the Jubilee Course and the most recent addition, the Castle Course. Golf on the East Coast of Scotland offers other gems. The magnificent Kingsbarns and Carnoustie, host to The Open Championship in 2007, as well as the lesser known gem, Crail Balcomie Links. Gleneagles PGA Ryder Cup Course may also be included. This is really a golfing trip of a lifetime. 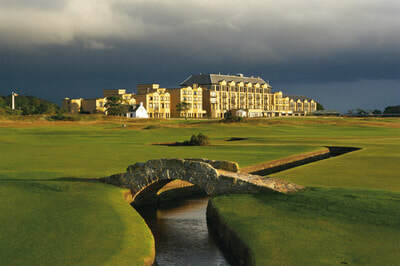 St Andrews in Scotland is the home of golf and every golfer aspires to teeing it up on the Old Course one day. The fabled 17th (road hole) among others will linger long in the memory. 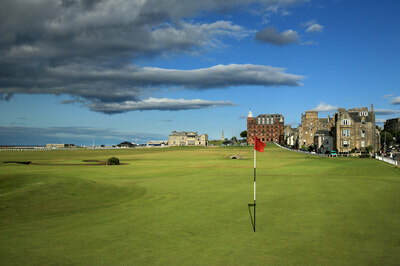 Apart from the Old Course St Andrews also boasts several other championship links among the them the New Course, the Jubilee Course and the most recent addition, the Castle Course. Golf on the East Coast of Scotland offers other gems. The magnificent Kingsbarns and Carnoustie, host to The Open Championship in 2007, as well as the lesser known gem, Crail Balcomie Links. 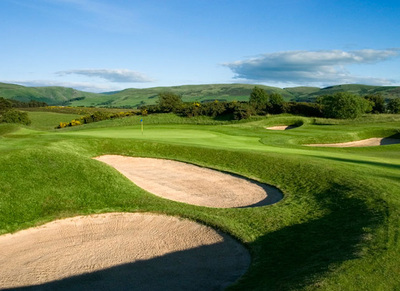 Gleneagles PGA Ryder Cup Course may also be included. This is really a golfing trip of a lifetime. The New Course at St. Andrews is a real test with many challenging holes at the far endof the course near the Eden Estuary. 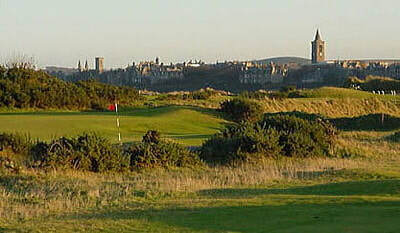 Although it is named the new course it is well over 100 years old designed by Old Tom Morris. 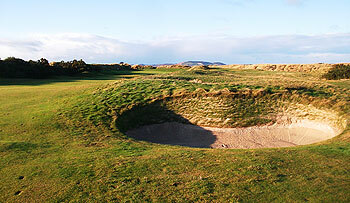 It is an undulating course similar in characteristics to the Old Course. Were it not for the proximity of its more illustrious neighbour, there is no doubt that many Open Championships would have been played on this course. 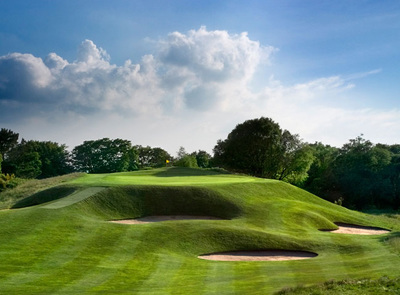 The layout was based on the traditional out and back routing, among its most famous features are its shared fairways and a double green at the 3rd & 15th holes. 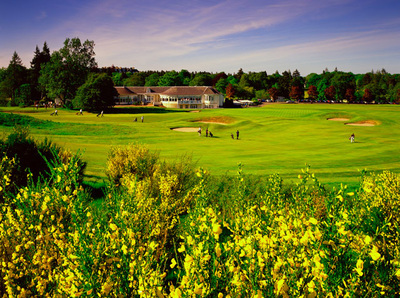 Opened for play in 1897, the course was named in honour of Queen Victoria’s Diamond Jubilee, which celebrated her 60 year reign as the British monarch. The Jubilee Course began as a twelve hole course but it was lengthened to an 18 hole layout eight years later in 1905. 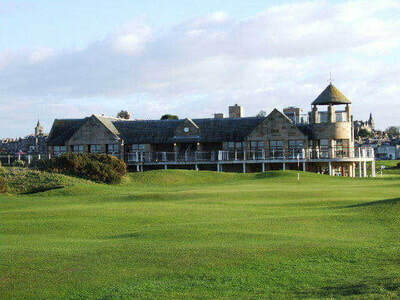 This was the third Championship course to be built at St Andrews,. There are a number of holes with real character and the semi blind tee shots will challenge golfers of all abilities. 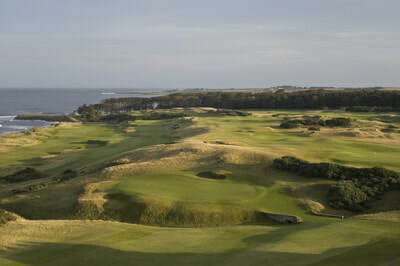 Kingsbarns Golf Links is situated seven miles from St Andrews along 1.8 miles of picturesque North Sea coastline, where each hole embraces the sea. In addition to enjoying a spectacular Worldwide Top 100 ranked course, you will enjoy the comfortable, friendly and attentive service for which Kingsbarns Golf Links is renowned. 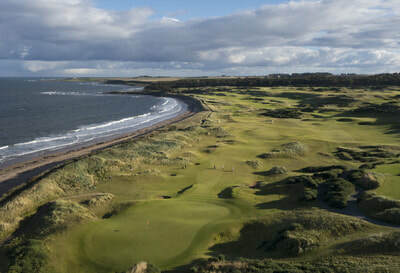 Kingsbarns co-hosts the annual European Tour’s Alfred Dunhill Links Championship together with the Old Course at St Andrews and Carnoustie Golf Links. In 2017 The Ricoh Women’s British Open will be contested at Kingsbarns. 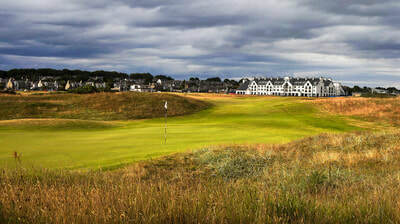 The Championship Course at Carnoustie has hosted seven Open Championships, one Ladies Open and one Seniors Open making it one of the very few to have done so in the UK. 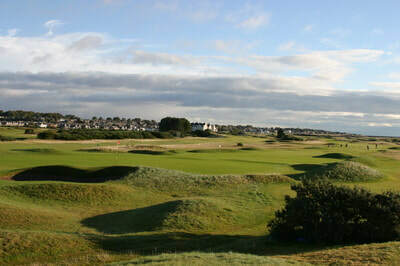 It is one of the three courses used for the annual Dunhill Links, the others being Kingsbarns and the Old Course in St Andrews. The Open Championship will return to the Championship Course in 2018. 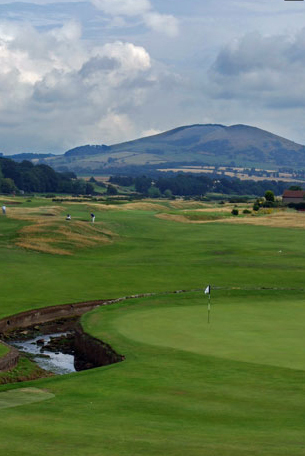 Generally regarded as the toughest of the Open venues for those who understand the game a little more will know it is probably the fairest too. Set as it is in the heart of Scotland, course designer, Jack Nicklaus described the course as "The finest parcel of land in the world I have ever been given to work with" A feature of the PGA Centenary Course is the feast of views of the spectacular countryside in which Gleneagles is set. As you move westwards over the course, the rugged Grampian mountains come into view on the right, then distantly purple ahead, Ben Vorlich and the mountains above the Trossachs. Breathtaking landscape, breathtaking golf! Cail Golfing Society is the 7th oldest golf club in the world. 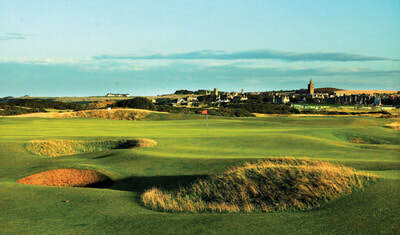 The Balcomie Links ( Old Course) was designed by Tom Morris in 1892. The holes tend to be short and somewhat quirky. Old Tom designed the course in such a way as to take maximum advantage of its exhilarating seaside location. 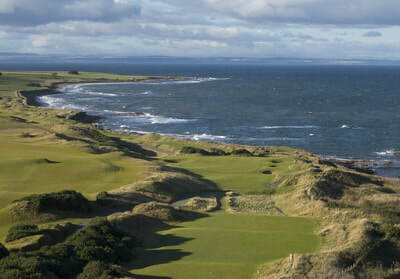 Shots over rocky bays, long par threes with greens perched on top of vertical cliffs, shots to greens seemingly engulfed by gorse, curving par fours round sandy strands - daring the golfer to cut off too much, shots from cliff tops to greens and fairways invitingly laid out below: all these and more make up the Balcomie experience. 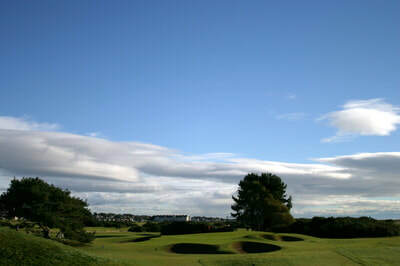 Local conditions of winds and tides during prehistoric times combined to produce a series of parallel dune ridges which give Leven Links a truly unique character. 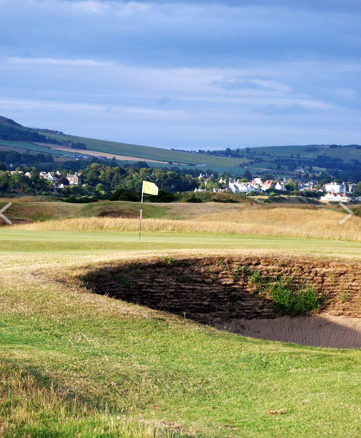 From the start of the round the golfer will be conscious of the fairways running along the valleys between these old dunes; it makes for superb definition and a true test of links golf as the slopes and bounces of these natural obstacles come into play throughout the round. They are most noticeable at the first (where the green sits on a ridge plateau), the second, thirteenth, seventeenth and eighteenth.signature hole. A magnificent old Tom Morris/James Braid designed golf course. Lundin Links, just 20 minutes from St. Andrews is one of Scotland’s gems. Historically a qualifying course to The Open Championship when played in St. Andrews, Lundin Golf Club is renowned for its beautiful greens and some of the most demanding Par 4’s in the game of golf. 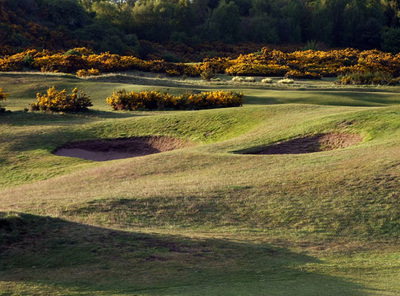 A complex links course with open burns, an internal out of bounds (the old railway line), and strategic bunkering, Lundin presents a challenge for the golfer, position from the tee rather than distance will yield just rewards on the scorecard.